Preparing a meal has become a global affair, with foreign ingredients now more readily available at supermarkets than ever. Think French cheeses, Guatemalan fruit and Asian food. While this kind of accessibility has been a gastronomical revolution for consumers and restaurants alike, there have recently been some concerns raised as to the standards used for export, and more importantly, for testing within the country of import. There is certainly a difference between the longstanding method of importing low-volume, specialty gourmet goods (such as cheese, wine or salami) and the newer form of high-volume mass-market imports of foods (like fresh produce, seafood and even candy). U.S. food imports grew from $41 billion in 1998 to $78 billion in 2007, according to a USDA Economic Research Service (ERS) report. Imports consisted mostly of fruit and vegetables, seafood and processed food products. The high-volume imports have been under scrutiny because of food borne disease outbreaks and a failure to properly test them for toxins. Their massive quantities, so big as to render full inspections impractical, are to blame.This is alarming given how often we come into contact with these foods. Finfish, shrimp, and seafood products are some of the most widely traded foods and a staggering 85 percent of seafood consumed in the U.S. is imported. Between 2005 and 2011, 39 outbreaks of food borne diseases were detected in imported foods, the Center for Disease Control and Prevention (CDC) recently reported. Of those 39 outbreaks, 17 were found in fish (compared to 4 outbreaks found in oysters, 3 in cheeses and 1 in crab). Contaminated imports came from 15 countries, and nearly 45% of these outbreaks came from foods from Asia. The most common forms of poisoning from fish are histamine poisoning and ciguatera. Histamine fish poisoning results from eating fish, mostly tuna and groupers, that has been inadequately chilled. If consumed, the toxins in the fish can cause rashes, swelling, or diarrhea. Ciguatera is a toxin found in fish flesh that originates in dinoflagellates – a kind of marine algae – and causes nerve damage, nausea and vomiting. Nearly half of the imported food disease outbreaks within that 6-year period occurred in 2009 and 2010. 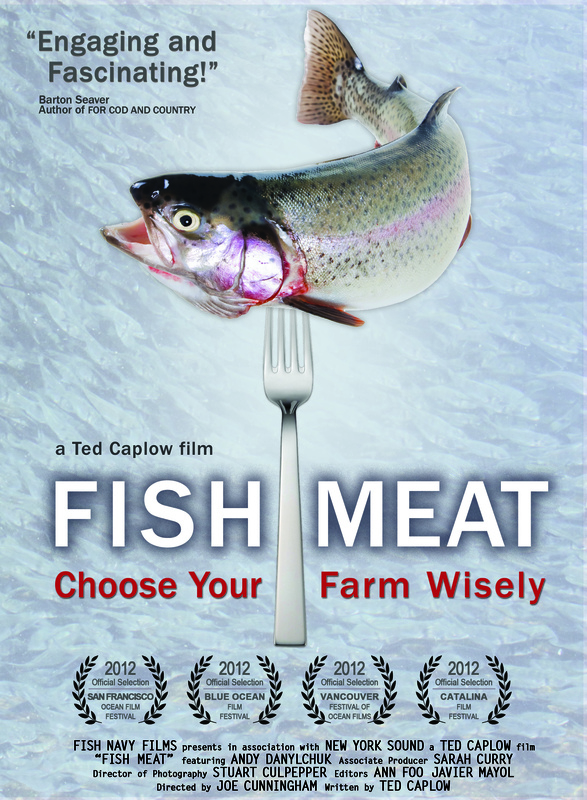 Farm-raised seafood is often treated with antibiotics and other medications (veterinary drugs, pesticides), which can lead to seafood containing unacceptable levels of residues. In 2011, Dr. David C. Love and his team at Johns Hopkins University’s Center for a Livable Future compared seafood inspection programs and veterinary drug residue violations from the world’s largest seafood importers: the E.U.,U.S., Japan, and Canada. Among seafood types, Asian farm-raised shrimp and prawns had the highest frequency of veterinary drug violations, primarily for nitrofurans and chloramphenicol (both used as antibiotics). Other high residue-laden seafood included catfish (including other fish sold as catfish), crab, tilapia, and eel, and Chilean salmon. Vietnam had the greatest number of veterinary drug violations among exporting countries, but China, Thailand, Indonesia, Taiwan, India, and Malaysia were also identified as the exporters to the U.S., E.U., Canada and Japan with the most drug violations. Dr. Love and his team point to inadequate testing of imported seafood as the cause. The U.S. screens only 2 percent of all imported seafood, and tests a far smaller fraction for contamination. In contrast, the European Union, Japan and Canada screen as much as 50 percent, 18 percent, and 15 percent of certain imported seafood products. In general, the U.S. lags behind other countries. The FDA tests for 13 types of drug residues, while European and Japanese inspection agencies test for 34 and 27 drugs, respectively. This could mean that seafood producers can use many drugs for which the U.S. does not screen. In a random testing experiment conducted by the Food and Drug Administration (FDA), published last month, 330 shrimp from 6 different grocery stores in Little Rock, Arkansas were tested for the bacteria Klebsiella. While Klebsiella is a fairly common bacteria, these particular colonies were not. They were found to be resistant to five or more antibiotics: penicillin, ampicillin, rifampicin, streptomycin, tetracycline, and bacitracin among others. Frighteningly, doctors would have difficulty using conventional antibiotics to treat a consumer who had ingested these bacteria and become ill.
ABC News also released a report over the weekend doing a similar study. The FDA has a very small budget to do on-site inspections and testing on imported foods (it depends on Congress to appropriate the necessary funds). FDA inspectors visited more than 600 overseas food processing facilities in 2011. The new Food Safety Modernization Act, will require the FDA to double that number every year for the next five years until it reaches 19,200 inspections a year. The agency has proposed a fee-based system for food inspection in its 2013 budget. It bears saying that U.S. standards for aquaculture (and other food production) are more stringent than those found in countries like China or Vietnam. Besides the environmental benefits of eating food with a smaller carbon footprint, eating domestic food gives the added peace of mind that certain standards, such as the Best Aquaculture Practices, must be maintained in order to receive certification. 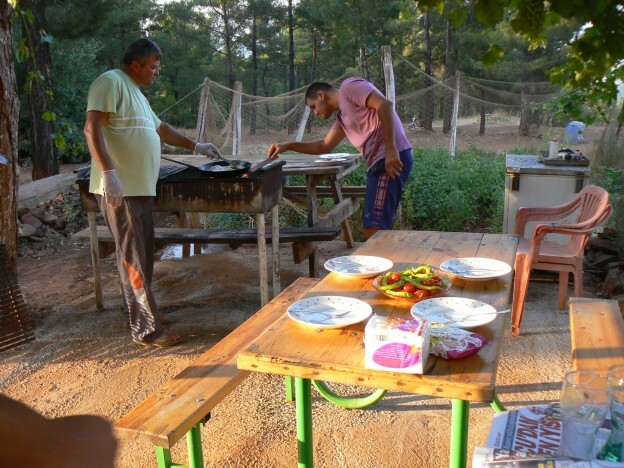 Photo: Carp grown and served locally in Turkey in a scene from the documentary “Fish Meat“. Thank you for opening my eyes!!! As a health care practitioner, I can vouch for bacteria-resistant ” bugs”. It’s getting more challenging to treat infected patients. I have ( w/ this knowledge) been educating my patients. I have them research and educate themselves via your website. They have lots of fish, almost all of it and the shellfish too are imported from China, India, Thailand including the cat fish, tilapia and of course shrimps. So disappointing. But the fish monger there was very receptive to conversation. He wanted to know how the farmed salmon that were identified as being “color enhanced” got to be so. I assume from what they are fed. Maybe you can clarify? There was NOTHING local or even Californian. Some Atlantic salmon and everything else from far far away. On that note – should we be wary of west coast fish because of Fukushima?